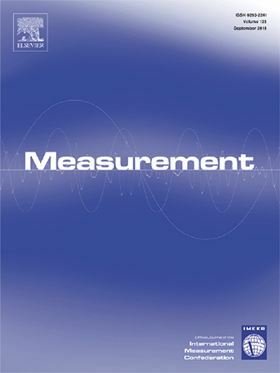 The research article 'Incipient cavitation detection in external gear pumps by means of vibro-acoustic measurements' has been published in Elsevier journal Measurement. Cavitation is a well-known phenomenon in hydraulic machines, although its influence on volumetric pumps has been rarely studied. For this reason, this work investigates cavitation in external gear machines by means of a dedicated experimental campaign. Four different pump prototypes have been designed and manufactured to perform this research, one of them specifically built up to not be affected by such a phenomenon. Cavitation is induced in the testing procedure by increasing the working speed, in order to better reproduce the development of the phenomenon in actual applications. Vibro-acoustic measurements performed by a hydrophone and a high-frequency accelerometer are put in comparison with measurements of inlet and outlet pressure ripple, in order to enlighten their capability to effectively provide an earlier detection of the phenomenon. Waterfall spectra are investigated and later Root Mean Square (RMS) values of the filtered signals are shown with respect to the cavitation number and compared with efficiency measurements. Results demonstrate that vibro-acoustic measurements associated to a dedicated signal processing procedure represent a powerful tool to detect cavitation inception in gear pumps. Effect of oil temperature is investigated, showing that it contributes in spreading the phenomenon on a wider speed range. Finally, the comparison between different pump prototypes enlightens the capability of the presented procedure to quantitatively estimate the intensity of the cavitation phenomenon.